The below is slightly modified from an email I sent my congregation Sunday. Trying to enact Christian values in the public square and trying to map Christian virtues onto candidates and ballot questions can be challenging. There’s not a one-to-one match between what Augustine called the city of God and this earthly city. Still, part of our calling as citizens of the kingdom of God is to be engaged earthly citizens. What Paul wrote to the church in Corinth applies to us: we are Christ’s ambassadors, joining God in his ongoing work of reconciling the world to himself. We want to be like the people God called through Jeremiah to seek the shalom of the cities in which we live. It’s important that we bring our whole selves into the public square: our love, our hope, our witness, our God-shaped discernment, and our biblically informed values. We want to live out our faith in city council meetings and town halls and online forums and community events and in the voting booth. Midterm elections are notorious for low voter turnout, so however our Christian convictions lead each of us to civic engagement, I hope we will make every effort—acting in good faith as both a citizen of the heavenly city and this earthly one—to vote on Tuesday. (Click here to learn more: polling places, hours, candidates, ballots.) And encourage your friends, family, and neighbors—in this state and in others—to vote, as well. Almighty God, to whom we must account for all our powers and privileges: Guide the people of the United States in the election of officials and representatives; that, by faithful administration and wise laws, the rights of all may be protected and our nation be enabled to fulfill your purposes; through Jesus Christ our Lord. Amen. As I have written elsewhere, I believe it is incumbent on the 81% to explain why they supported a candidate who so publicly disregards and even opposes basic biblical values. (There have been some attempts at this, albeit unsatisfying ones.) It’s not that people always vote all their values or in their own best interest (and a limited two-party system makes voting values tricky for many, myself included), but the disconnect between the professed tenets of classic evangelicalism and the words and actions of Trump is remarkable. That’s the thesis of the book, which I will be reviewing here in the coming weeks. “This book,” Fea says, “is the story of why so many American evangelicals believe Donald Trump” (10). In the meantime you can read more about the book here. Read their announcement here, and spread the word. The Biblioblog Top 50 lives! Nice to see Words on the Word nearly crack the top 20! 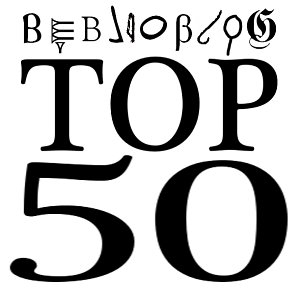 We are pleased to present the Biblioblog Top 50 for June 2018! The Biblioblog Top 50 is the official ranking of biblical studies blogging. Although posting somewhat less regularly in recent years, the Biblioblog Top 50 is pleased to celebrate its tenth anniversary this year. Yet those whom we really want to celebrate are the many bibliobloggers who continue to inform and entertain us – with their views and opinions at the cutting edge of biblical studies. Congratulations in particular to the Number One Biblioblogger for June 2018: Jim West. In honor of Black History Month, Baylor University Press is offering 40% off + free shipping on select titles. The entire list is here, and it includes Bonhoeffer’s Black Jesus. Also included is a book I ordered during this sale last year called Muslims and the Making of America. Prices are cheaper than Amazon, and this way you can support the publishers (and authors) more directly. The sale is good for February with discount code BFE8. One of the abiding questions about the life of Dietrich Bonhoeffer is: How did a theologian with pacifist leanings choose to join a conspiratorial effort to kill Adolf Hitler? How could he justify his action, let alone feel compelled to seek the life of another human? In the section I’ve been reading recently, Rasmussen draws on two key concepts for Bonhoeffer: deputyship and guilt. Deputyship is “the master mark of responsibility” (38). It is vicarious being and action. As Rasmussen puts it, “Man is not man [sic] in and by himself but only in responsibility to and for another” (38). And Jesus Christ is “the Responsible Man par excellence” (51), the ultimate “deputy” through his sacrifice-for-others on the cross. You can see where this is going: the concepts of deputyship and guilt have a great deal of explanatory power when it comes to Bonhoeffer’s attempt to take Hitler’s life. I love this idea of Bonhoeffer’s that Rasmussen describes, namely, that preservation of our sinlessness, innocence, or purity is not to be our primary motivation in acting in the world. Rather, our deputyship (responsibility for the other) should drive us. This means for Bonhoeffer that we may need to get our hands dirty if a tyrant is threatening the well-being of the “others” on whose behalf we act. But this notion of guilt is difficult for me to fully grasp, and I wonder how we can still leave room for the fact that Jesus, even if not seeking to preserve his innocence, did preserve his innocence. Are we called to follow Jesus’s example in patient suffering on behalf of others (Bonhoeffer’s deputyship) and in emulating Jesus’s innocence when we suffer on behalf of others? Yet we will never be like Jesus who “committed no sin.” Should we cut our losses and leave room for our guilt—as Rasmussen seems to read Bonhoeffer—when it comes to suffering for others? (If so, it could be important to distinguish between the guilt Jesus took on through the crucifixion (not a direct consequence of his own impure action) and any guilt a co-conspirator has (presumably a direct consequence of the “impurity” of conspiratorial involvement)). It’s as if Bonhoeffer thought one could not resist in Nazi Germany in a sinless, innocent, or pure way. This was no longer the non-violent resistance in The Cost of Discipleship. Again: “To maintain one’s innocence in a setting such as that of the Third Reich, even to the point of not plotting Hitler’s death, would be irresponsible action” (51). Amazing. I’m still trying to work through all this. It at least helps shed light on how Bonhoeffer could actively join efforts to take Hitler’s life. And a step further: Rasmussen suggests Bonhoeffer saw his conspiracy to murder as not just permissible, but as a Christian duty of sorts: deputyship with guilt.